Sports teams could help build strong relationships with other teammates. Teammates Thomas Mitchem, Spencer Montag, and Levi Anderson are all on the Varsity Men’s Soccer team and have built a strong bond over the course of the season. “My favorite thing about varsity soccer is helping the other kids, like JV and Freshman team and also being the big person on the field,” junior Thomas Mitchem said. These three teammates enjoy hanging out together on and off the field. “My favorite thing about playing varsity soccer is just being able to play with my best friends. I know I’m gonna have fun playing with them and I’ll be supported when it’s my turn,” senior Levi Anderson said. These three players have been on varsity before and admit it’s hard work and have to push themselves physically. “I thought it would be easier but it’s kinda hard and the coaches are kinda hard on you,” Mitchem said. The hard work put into the games and by the team is worth it, according to the players. The results are seen on and off the field. “It’s hard but you gotta put in the work and it’s still challenging,” junior Spencer Montag said. For some players, there is more difficulty than ease while playing. “I would say the hardest thing about a game is just moving the ball consistently and listening to what the coaches say,” Mitchem said. Sports take a lot of hard work and effort from the team and the players, including strategy. “The hardest thing for me is man mark,” Montag said. Injuries happen all the time and it can cause someone’s career and playing time. “I have had about three injuries. I tore my meniscus, my shoulder, and IT band,” Mitchem said. Montag just recovered from injury and just started playing again recently. “The hardest thing from my recovery of tearing my MCL was, It just took so long and it’s boring to just sit on the sidelines and watch,” Montag said. This team has lost and won quite a few games. “When we win you put everything into it, then it feels bad to lose sometimes especially when you didn’t put in everything, and you could’ve done better, but you always have a second chance next game,” Anderson said. 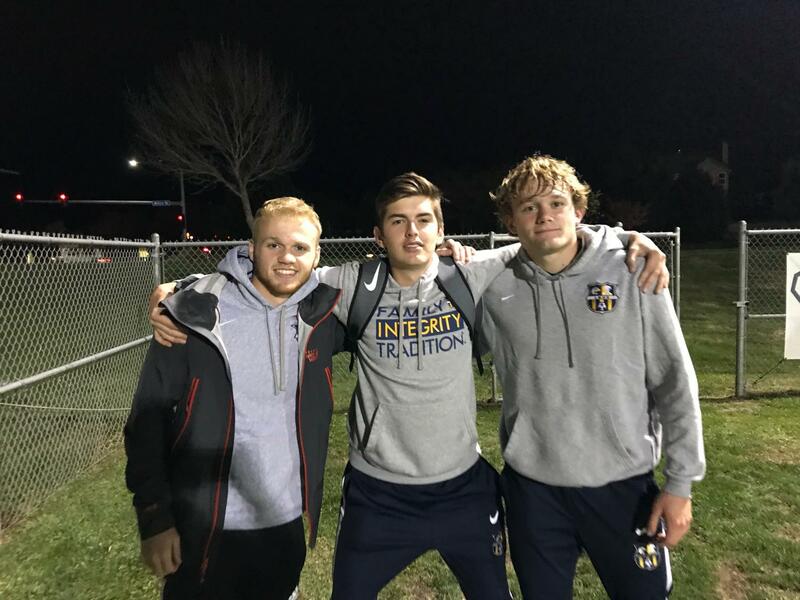 Addendum: Last night (10/30) the Liberty North Men’s Soccer team’s hard work and dedication paid off, beating Oak Park High School’s team at districts with a score of 4-1. This will move our men onto the next round of playoffs, playing Liberty High School’s soccer team in the district championship on Thursday, November first.